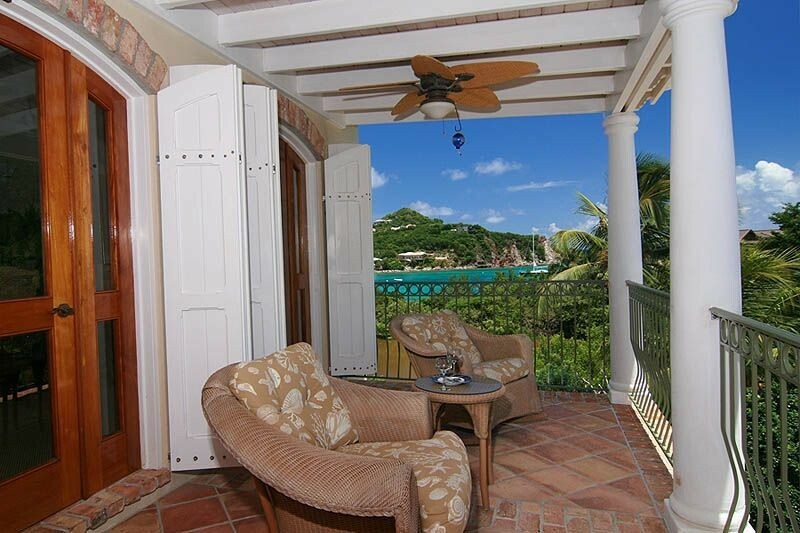 Reefside Villa is one of St. John’s finest properties. It combines a finely crafted, superbly furnished 5-bedroom villa with direct water access and a small private beach. The snorkeling directly off the villa is extraordinary and includes every kind of tropical fish along with sightings of turtles, rays, and colorful coral. Reefside has a generous swimming pool (36’x22′) surrounded by a spacious stone terrace overlooked by 500 square feet of covered deck and balconies with wrought iron railings. The rooms are spacious and have high ceilings decorated with unique lighting fixtures and exotic ceiling fans. A comfortable private office/den overlooks the pool. For Rent, St. John, USVI, Villas. Bookmark.